Once you try it, you’ll wonder what took you so long. Acupuncture has been around for thousands of years and is the mainstay of our fertility treatments here at West End Mamas in Toronto, Newmarket & York region, but is also very, very commonly used during pregnancy and also postnatally. 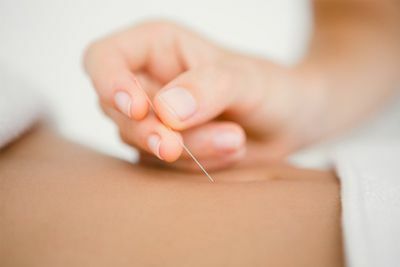 If you’re not yet familiar with acupuncture, it involves putting tiny needles in different active points on the body. Not parts that are active mechanically, but points on your body that carry energy. Most of us know someone who has tried acupuncture at some point, even if we haven’t tried it ourselves. 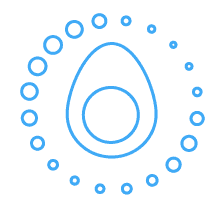 Acupuncture: for every part of your reproductive cycle. Acupuncture, when done in the months leading up to conception, can give you the best possible chance of getting pregnant. 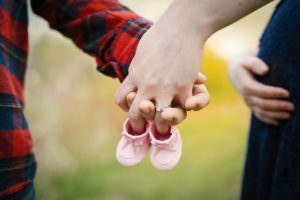 You are thinking of starting a family and want to give your potential new baby the best possible start, as well as make sure that you are as fertile as you would like to be. Maybe you’ve been on birth control for many years and you’re worried that it will take a while to conceive. Perhaps you’ve been trying to conceive for a while without success. Acupuncture can help. Acupuncture will not only set the stage for optimal fertility, but can help encourage a healthy pregnancy. It may also help you avoid some of the common complications like gestational diabetes, elevated blood pressure or sub-optimal baby positioning that can lead to medical interventions. It also benefits the health of your child and even your grandchildren! If you are planning an IVF cycle, preparing ahead will help you make the most of the opportunity to use IVF. The success of an IVF cycle rests on the ability of your body to respond to the treatment. Preparing ahead with acupuncture for 2-3 months before your cycle has the benefit of improving blood flow to your uterus and ovaries which may make them more responsive to medication. Despite the fact that we are West End Mamas, please feel free to send your partner in for acupuncture if you are having any kind of fertility issues. Male reproductive health can benefit from acupuncture. Men’s reproductive issues are very responsive to acupuncture treatment and usually involve either clearing too much “heat” or supplementing and supporting a depleted system. Acupuncture can help make the experience of being pregnant easier, and more enjoyable. Even though you might have thought that pregnancy would have you feeling amazing with glowing skin, sometimes that’s not the case. If you’re feeling queasy at any time in your pregnancy, suffering from swollen joints, or if you want to get your body ready to deliver your baby, acupuncture can help. Acupuncture is safe and effective in pregnancy. Being a mom isn’t easy! It comes with massive amounts of exhaustion, a fair dose of stress, and to top it off, our hormones are a bit out of whack for a while after giving birth. Acupuncture can help get all of that sorted out – and give you some forced down-time while you enjoy your “acu-nap”. Acupuncture can be helpful with all parts of becoming a parent. But sometimes people are hesitant to give it a try. We get it. Let’s get a few of the common concerns out of the way. Acupuncture helps with many reproductive conditions by stimulating the nervous system (via the needles) to send messages to the brain that change the hormonal output from the brain to the ovaries and uterus. For example, there is a point on the hand that has the effect of down-regulating the sympathetic nervous system and reducing nervous tension. This in turn allows blood flow to return to the digestive and reproductive organs and has the effect of improving digestion and reducing both abdominal and menstrual pain. So we say the point improves digestion and eliminates pain in the abdomen. Does prenatal acupuncture help prevent morning sickness? We feel you — those first few months or pregnancy can be pretty rough (and for some of us it never seems to end). But, good news! Acupuncture is commonly used to treat morning sickness, and many mamas find that it helps. In addition to nausea, acupuncture can help alleviate some of the other less pleasant pregnancy symptoms such as heartburn, hemorrhoids, sciatica, joint pain and even carpal tunnel syndrome. Can acupuncture during pregnancy help encourage labour? The final days of pregnancy waiting for baby to arrive can feel like an eternity! Well, acupuncture isn’t the magic fix — but it can help. Acupuncture helps to prepare your cervix for labour and delivery and, in many cases, this helps to naturally speed things along. 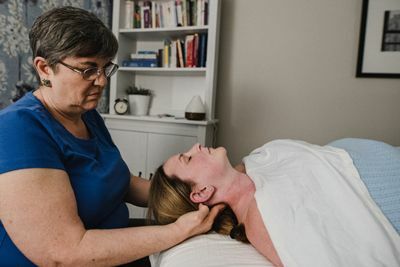 There are six major acupressure points on the body that are believed to induce labour and all of West End Mamas’ acupuncturists are trained in these methods. How soon can you have acupuncture after giving birth? Postpartum acupuncture has many benefits for healing mamas. However, it’s important to get the green-light from your physician or midwife before receiving your first postnatal acupuncture treatment. Some women can have acupuncture 1-2 weeks after having a baby, while others may be advised to wait longer. The most useful points on the body are below the elbows and below the knees and often we only use a few points in a treatment. No, acupuncture will work whether you are a true believer or a sceptic or somewhere in between! Acupuncture may be new to you, but it’s an old medicine with a long history of safety and effectiveness.